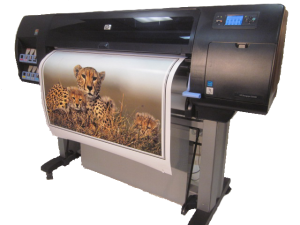 A Great American Print Shop of Denver offers poster size printing and photo enlargement services for customers looking for photographic quality prints. 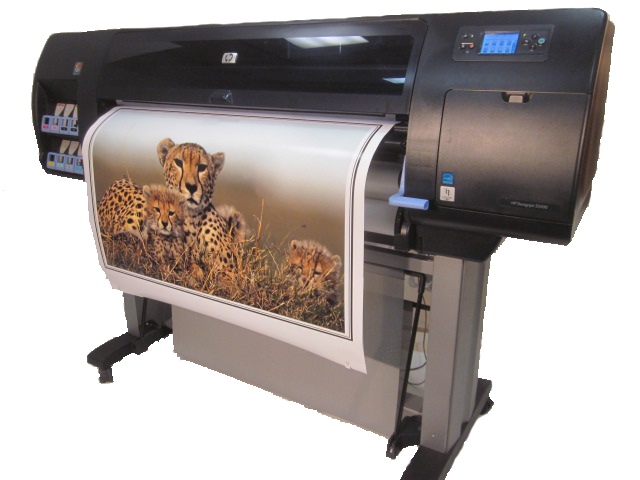 Our HP Z6100 series, 8 color digital printer offers superior quality posters for any occasion. We print full-color posters from digital camera photographs or from several computer generated digital file formats such as JPG, TIF, PSD, GIF, PDF, EPS, PS, AI, PPT, and more. We can also enlarge scanned images. Our Z6100’s embedded Spectrophotometer provides accurate color reproduction from print to print and printer to print. We use HP’s advanced Vivera pigments with 8 colors. The ink resists fading in or near a window for more than one year, more than 3 years if laminated, and 200 plus years when away from direct sunlight. We offer a choice of a matte poster for presentations or a photo satin for photographic printing. These can also be mounted to foam core for a more rigid print.